I am reading Live At the Brixton Academy: A riotous life in the music business, so it was well timed that I went to see French band Phoenix at the the Academy. 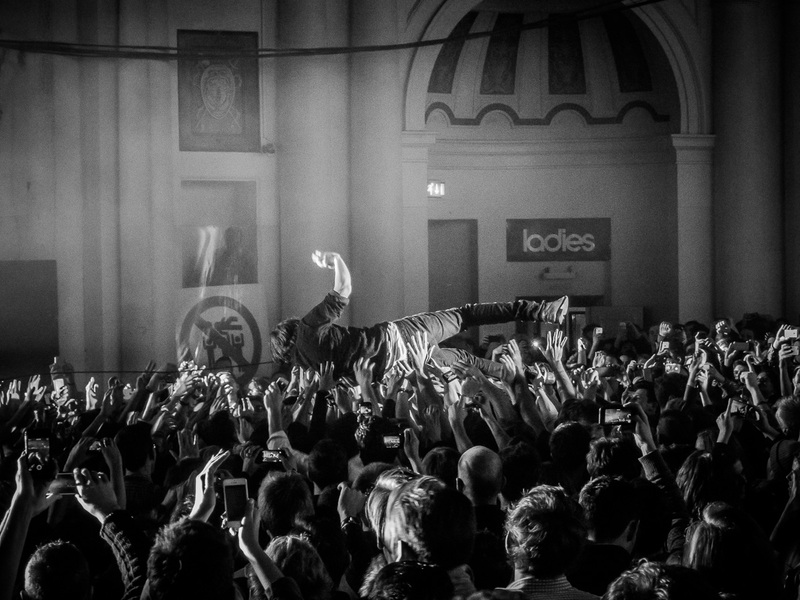 Above Thomas Mars strays from the stage into the crowd. 1. The “no crowd surfing” sign. 2. The fact he’s being carried straight towards the ladies. Yeah the sign made me chuckle too, glad someone else noticed it!